Explore Karakol's food scene and markets. The food in Karakol is unlike what you'll find anywhere else in the world — or even in Kyrgyzstan for that matter. The city's unique location has allowed its food scene to benefit from an influence of flavors, traditions, and specilaties that reach back in time, and across the globe. 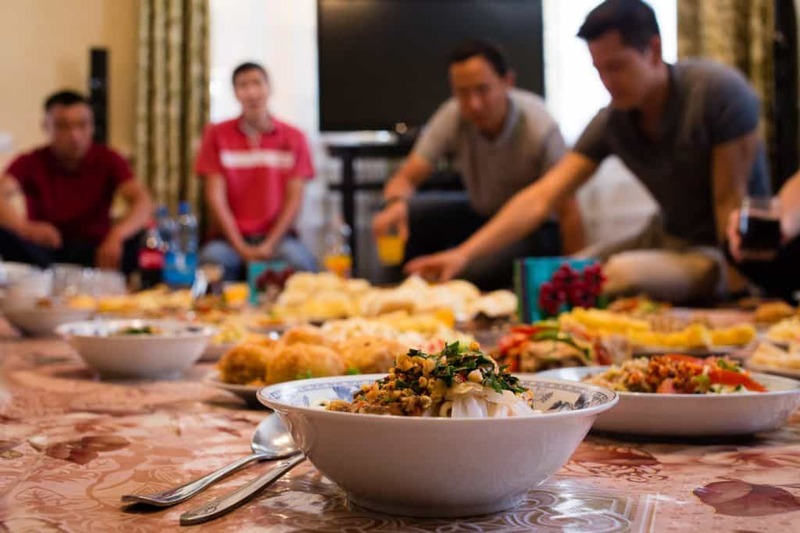 In addition to traditional Kyrgyz dishes, the Karakol specialties you’ll taste here have been honed over generations by the diverse group of peoples and cultures who chose Karakol as their home over the centuries. 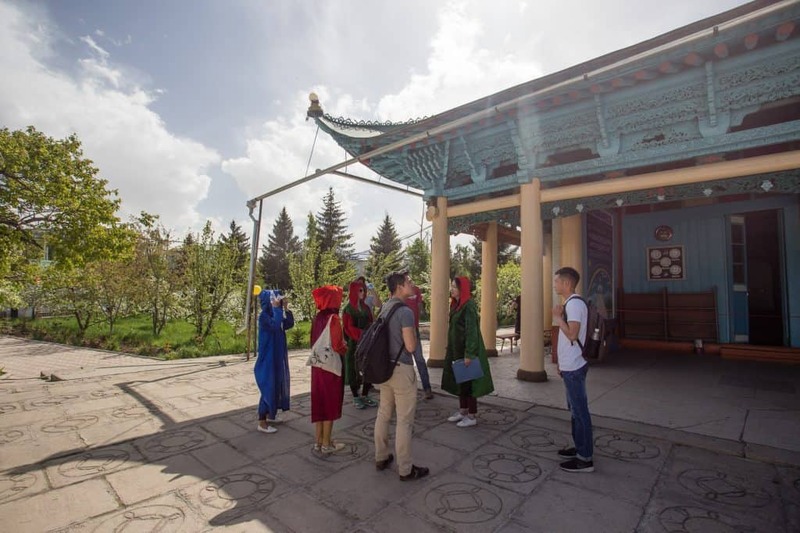 One of the best ways to deeply understand Karakol's food scene indulge in the best dishes from market stalls and restaurant chefs on a food walking tour led by a Karakol local. Or dive deeper into the fascinating Dungan culture and food at the Dungan Family Dinner, where you'll encounter flavors you have never before tasted as well as an — and appreciation — of just what make's the food in Karakol so special. Below is an overview of the food and market information you'll need to eat your way through Karakol. No foodie traveling through Kyrgyzstan should miss the opportunity to sample at least a few of the dishes unique to Karakol alone. And if you're short on time (or just hungry!) the Karakol Food Crawl lasts just a few hours and allows you to sample many of the region's most famous dishes. 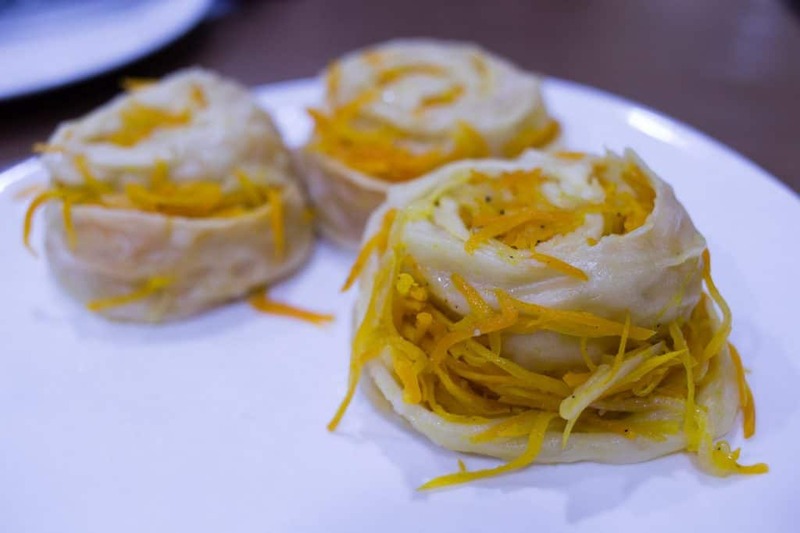 Here are the dishes you should certainly try when visiting Karakol. In addition to offering local food specialties, Karakol's restaurants and cafes also feature a wide range of traditional Kyrgyz dishes. Understand the history of Kyrgyz food and identify the main dishes that you can enjoy throughout the country. Karakol is the best spot in Kyrgyzstan for vegetarian travelers. The city's unique crossroads of cultures and cuisines has made Karakol among the easiest places in Kyrgyzstan for vegetarians to enjoy a wide range of dishes and flavors. You'll also find a handy list of useful phrases for vegetarians in Russian. Karakol is truly a destination for food lovers. For a city of its size, you'll find a surprisingly diverse selection of restaurants and cafes where you can find anything from local specialties and Kyrgyz dishes (including vegetarian options) to comfort food from back home. Search the complete listing of all restaurants and coffee houses in Karakol to find the perfect spot for lunch, dinner, or an afternoon coffee break.